According to AAA’s Fuel Gauge Report, the current national average retail price for a gallon of self-serve regular gasoline is $2.659. The price is up 3.9 cents from a week ago, up 26.6 cents over last month and 99.5 cents lower than a year ago. In Pennsylvania, today’s average price of self-serve gasoline is $2.821, 5.1 cents higher than a week ago, 28.1 cents higher than a month ago and 97.2 cents lower than a year ago. In the Lehigh Valley, the average price of self-serve gasoline is $2.737 per gallon which is .4 cent higher over a week ago, 20.2 cents higher than a month ago and $1.008 lower than a year ago. 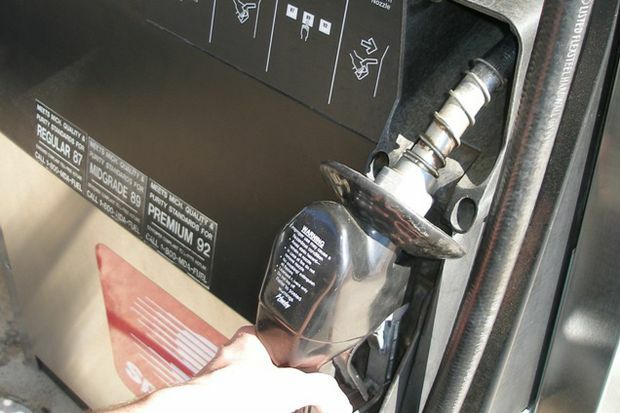 In the Philadelphia market, the average price for self-serve regular unleaded gasoline is $2.855 per gallon which is .3 cent higher than a week ago, 31.8 cents higher than a month ago and 90.2 cents lower than a year ago. Regional refinery issues on the West Coast continue to push prices higher in a handful of states, with the majority of the nation’s most expensive markets located in the region. The price of crude has moved higher since the middle of March due to slowing U.S. production, a weakening U.S. dollar and speculation of demand growth from China. Despite the price increase, many market watchers believe that the recent rally may be nearing an end due to oversupply continuing to characterize the global market, effectively putting a ceiling on how high the price can go. The global oil cartel OPEC appears to be maintaining its strategy of high production levels and is scheduled to convene in June to reassess supply quotas, but in the meantime all eyes remain on U.S. production levels based on its new position as swing producer. The domestic benchmark WTI posted a weekly gain for the seventh consecutive week but remains significantly below the 2014 high of $107.95 per barrel. At the close of trading on the NYMEX, WTI settled 45 cents higher at $59.39 per barrel. AAA East Central is a not-for-profit organization with 84 local offices in Kentucky, New York, Ohio, Pennsylvania and West Virginia, servicing 2.7 million members.